Cubaism's University Arts Tour will be a once in a lifetime opportunity for students at all levels. The trip will take participants around Havana's most illustrious locations allowing students to gain an insight into the intricacies of the Cuban art scene, whilst providing all the tourist experiences that makes Cuba the perfect Caribbean destination. The package consists of a 7-day experience, comprised of hotels, transport and your choice of fun activities on the 3rd and 7th day. The art part of the trip will take participants around some of Havana's most important galleries and studios. Additionally, students will be taken on architecture and photography tours, so be sure to keep have your cameras charged and at the ready! A special conference on the 2nd day of the tour will give students a chance to hear about the Cuban art scene, first hand, from Cuban artists and art specialists. The price of the tour varies according to whether students pick the basic or premium packages. The basic package consists of visits to Playa del Este, one of Cuba's famous beaches and a bespoke tour that follows Ernest Hemingway's life on the Caribbean island. The premium package will combine trips to Viñales, a UNESCO heritage site, and a trip to the natural haven located just outside Havana, in Jibacoa. Make sure your class does not miss out on this opportunity-- and book with us soon!! Cubaism's three-day art tour package Art, Sun and Sea is here to bring you the best of Cuba's art world, nightlife and beaches. Combined to create a three-day whirlwind tour, we have no doubt that this tour will leave you deeply in love with everything Cuban. The art side of the experience will be carefully curated by the Cubartour's team and everything else will be left to Cubaism, a company that has over 13 years of experience organising package tours to Cuba. 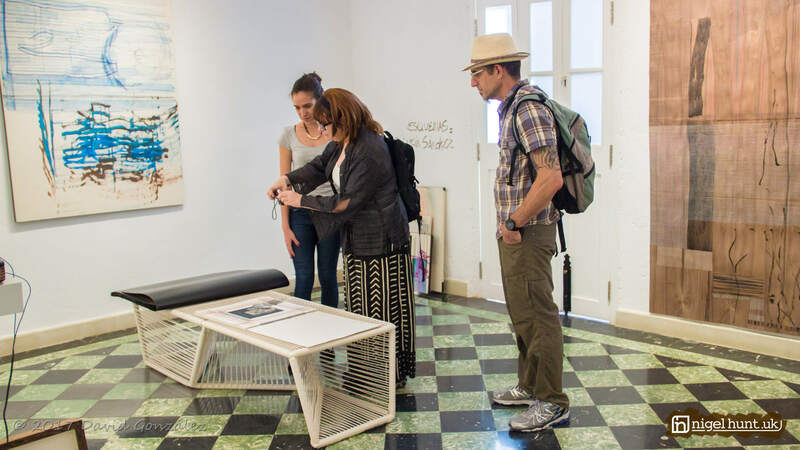 The art tour will allow you to submerge yourself in the best and brightest elements of contemporary Cuban art, exploring art from the 1970s to modern day through visits to artist studios, guided tours around contemporary art galleries as well as the national art collection and private talks with contemporary art professionals. During your entire stay, you will be surrounded by the warm Caribbean sea and will get the chance to actively explore coastal activities, as well as the beaches, through pre-planned activities. The tour will also organise lunches at dinners at Havana's best eateries, this is, however, not included in the price plan. The price of the trip will include: accommodation in a Havana based hotel, the quality of the hotel will depend entirely on your price range, a visa (excludes US citizens), transport throughout your journey and a fully qualified art consultant accompanying you on your journey. Cubaism and Cubartours' Professional Week tour plunges participants into the depths of the Cuban art world. From the very first moment your feet touch the ground, you will be encompassed by the vibrant culture that Cuba has to offer. We invite you to explore Cuba's kaleidoscopic art scene. The tour will begin with an introduction to Cuban Art History by a professor of the subject at The University of Havana. This will then be followed by a tour around the National Art Collection where you will be able to see how Cuban art has flourished from the Colonial period to the early 1990s. 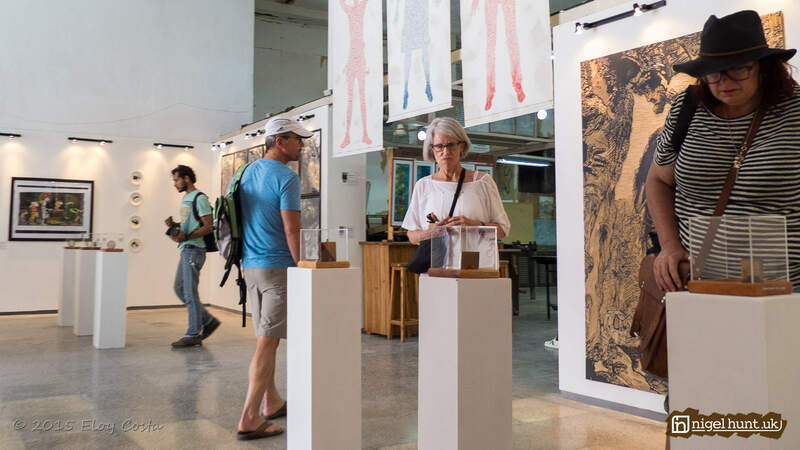 Once the scene has been set, the trip will give you a chance to see contemporary Cuban art unfurl before your eyes through visits to contemporary art galleries, artist studios and workshops. A precious highlight of the week-long event will be the private cocktail receptions held in exclusive locations as well as a private exhibition curated specifically for this trip in one of Havana's most important art institutions. Tour group sizes will not exceed more than 10 participants to ensure the most personal and authentic experience can be catered to each of you throughout the seven-day tour. The tour includes accommodation in one of Havana's most prestigious hotels, the Hotel Santa Isabel. Also included in the pricing of the trip will be visa costs, transport throughout the duration of the trip, entrance to all places, as well as some set menu lunches and dinners. +44 (0) 20 7498 8555 or sales@cubaism.uk. To book one of the shows or both, please fill in the form below and we will contact you shortly for payment. As soon as payment is received, the confirmation voucher will be issued.